The Screenwriting Goldmine Quarterfinalists have been announced today (4 Feb) and my horror Western A SIX-GUN FOR THE DEVIL is on the list. 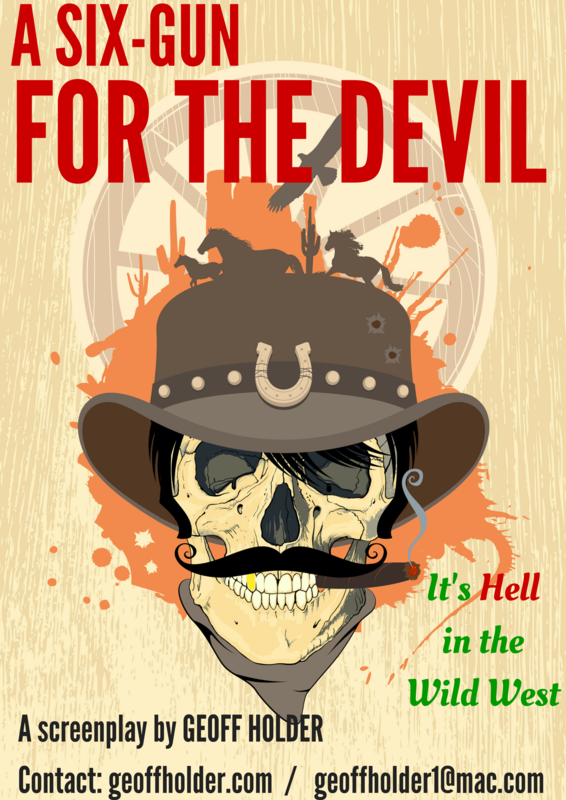 Logline: When a centuries-old gunfighter tries to save his girl from a gang of Wild West scumbags, he must team up with his worst enemy – the Devil who’s come for his soul. If you want to read the script head over to the Contact page. This entry was posted in Movies and scripts, screenwriting and tagged A SIX-GUN FOR THE DEVIL, Geoff Holder Author, Geoff Holder Writer, horror movies, screenplays, screenwriting, Screenwriting Goldmine Competition, scriptwriting, Western on 04/02/2016 by Geoff Holder.